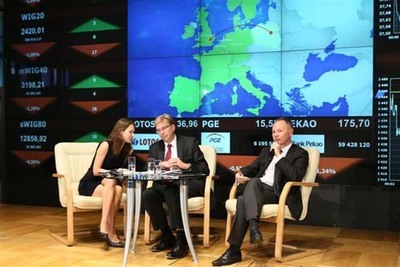 Warsaw, Poland / London, U.K. - August 19, 2013 - Warsaw Stock Exchange, the largest Exchange in Central Europe, and Aquis Exchange, the proposed pan-European equities trading exchange, announced today that they have entered into agreement to form an alliance. Under the terms of the agreement, WSE will acquire shares representing 30% of the total vote at the Aquis Exchange General Meeting and the same share of the company's dividends and will have a right to nominate two non-executive directors to the Aquis Exchange Board of Directors. The total transaction value is GBP 5m and will be covered by WSE's financial reserves. 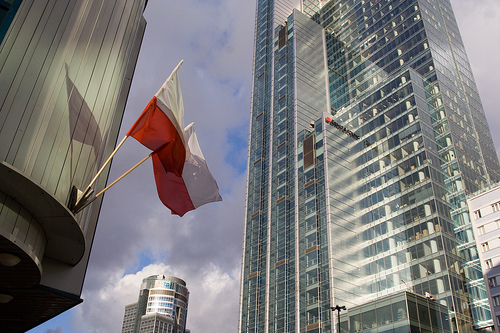 The agreement is in line with WSE's strategic interest in developing a financial hub for Central Europe in Warsaw. Any potential plans of Aquis Exchange concerning operations in the region will be settled with WSE. From left: Aquis Exchange CEO Alasdair Haynes and Adam Maciejewski, President & CEO of Warsaw Stock Exchange. Warsaw Stock Exchange, the largest Exchange in Central Europe, and Aquis Exchange, the proposed pan-European equities trading exchange, announced today that they have entered into agreement to form an alliance. Aquis Exchange is planning to go live in October 2013, subject to gaining regulatory approval from the UK FCA. Under the terms of the agreement, WSE will acquire shares representing 30% of the total vote at the Aquis Exchange General Meeting and the same share of the company's dividends and will have a right to nominate two non-executive directors to the Aquis Exchange Board of Directors. The total transaction value is GBP 5m and will be covered by WSE’s financial reserves. Find capital for your business. Meet business for your capital. Warsaw - the regional economic hub goes global. The investment aims at diversifying sources of WSE Group’s revenues and strengthening its recognition and international position in the global financial markets, including further reinforcement of WSE’s role as a financial centre in the region. The agreement is in line with WSE’s strategic interest in developing a financial hub for Central Europe in Warsaw. Any potential plans of Aquis Exchange concerning operations in the region will be settled with WSE. 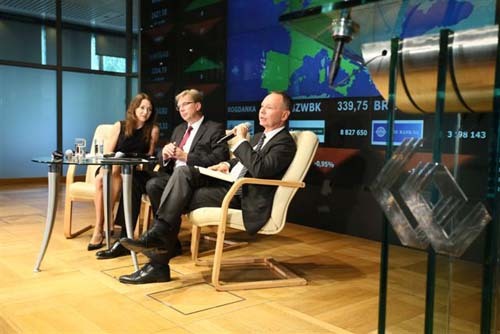 From left: the Translator; Aquis Exchange CEO Alasdair Haynes and Adam Maciejewski, President & CEO of Warsaw Stock Exchange, commenting on the agreement. “The Polish capital market creates huge opportunities for WSE and is definitely our main focus, however, in a competitive and highly challenging environment, business diversification at an international level is a must for our company. The recent acquisition of organized commodity markets in Poland and investment in Aquis Exchange are examples of this strategy. Internationalization is also fundamental for the business we run. WSE is already the biggest exchange in the CEE region, with some 65% share in equity turnover (as at June 2013), but we are still looking for new opportunities. Our objective is to do this with brave visionaries such as the Aquis Exchange team.” - said Adam Maciejewski, President & CEO of Warsaw Stock Exchange. “We are very pleased that WSE has chosen to partner with us as part of its international strategy. For us, independence is an important principle and thus having an industry backer of WSE’s caliber, but which is not a client or a competitor, is hugely beneficial. This investment secures our position ahead of our launch in October. We look forward to working with WSE as we bring the subscription pricing model to pan-European equities.” - said Aquis Exchange CEO Alasdair Haynes, commenting on the agreement. 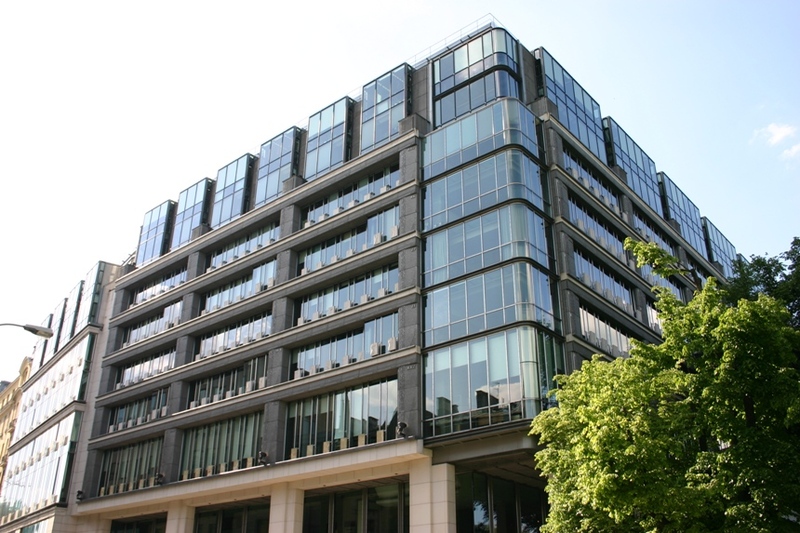 Warsaw Stock Exchange is the biggest securities exchange in Central and Eastern Europe. WSE organises trading on one of the most dynamically growing capital markets in Europe. The Warsaw Stock Exchange Headquarters, Warsaw, Poland. WSE operates regulated market of shares and derivative instruments and the alternative stock market NewConnect for growing companies. WSE also operates bonds markets: Catalyst for corporate and municipal bonds and BondSpot for treasury bonds. Warsaw Stock Exchange also runs fast growing commodity markets (Polish Power Exchange). 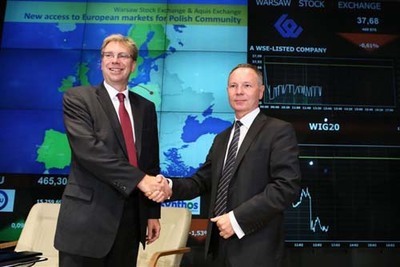 Since 9th of November 2010, WSE is a public company listed on Warsaw Stock Exchange. Aquis Exchange, which has applied for regulatory approval as a multilateral trading facility from the UK FCA, was established in October 2012 and has been created to operate a pan-European equities trading exchange and develop exchange software. Aquis Exchange is set to revolutionise the European trading landscape by its introduction of subscription pricing and innovative order types. Currently, over 90% of European equity trading in each individual country takes place on two exchanges. The aim of Aquis Exchange is to bring fresh competition into the marketplace in order to lower the trading costs maintained by the existing duopoly. Aquis Exchange’s subscription pricing works on a similar model to that of the telecoms industry and is designed to encourage participation from all categories of professional trading firm. Users will be charged according to the message traffic they generate, rather than a percentage of the value of each stock that they trade. There will be different pricing bands to accommodate varying degrees of usage. There will be a very low usage band for small firms, that are traditionally disadvantaged by the pricing structure of the incumbent exchanges and, at the other end of the pricing structure, there will be the top category where usage is unlimited (subject to a fair usage policy). Poland is an excellent place to invest and develop business. Why we have invested in Poland? Kulczyk Oil Ventures To Acquire Winstar Resources and be renamed Serinus Energy Inc.